The actitivies suit children aged 3-10 years old. Minimum of three hours booking. We supply the shaded space for your patrons, providing a fun space to play under shelter from all weather conditions. Safety is always a priority. The 6x3 metre commercial grade marquee has sturdy 57mm hexagonal aluminium legs for the ultimate in strength and safety. We weight each of the 6 legs with 15kg water weights, plus if the grounds allow we will also add additional pins. ​We can provide up to three tables for the marquee, plus a children's sized picnic table. Most of the craft activities we do sitting on the floor. We supply colourful and thick purpose-made leaf shaped floor rugs for children to work on. This creates a soft place for children to sit and enjoy time with the faeries. 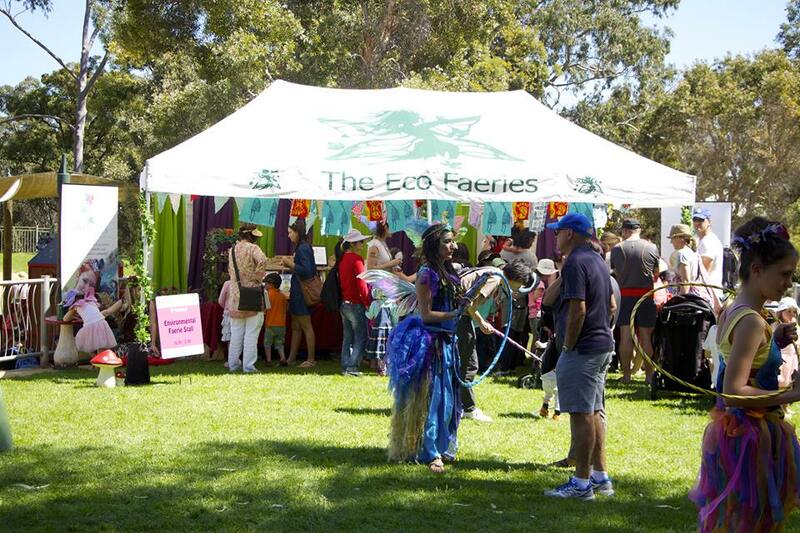 The Eco Faerie letterbox has become a community favourite for events. The deluxe faerie house is always evolving with new furniture and decor. 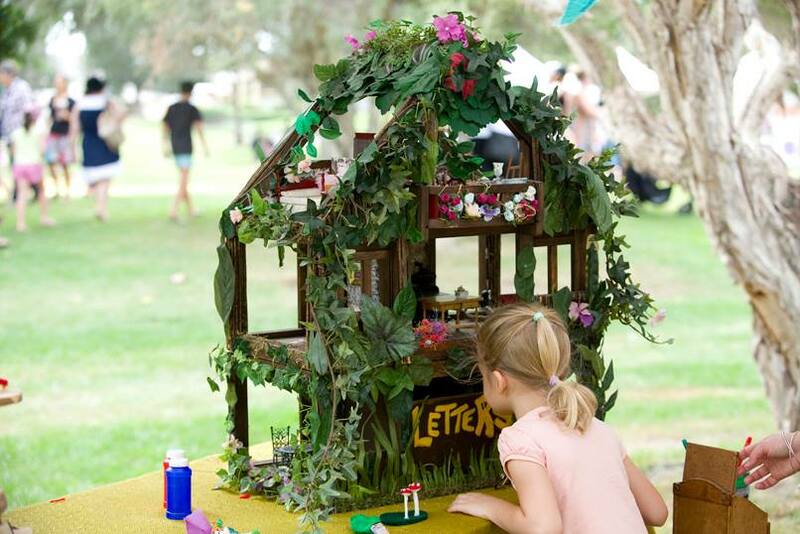 Children delight in seeing inside the magical home and posting their letters and pictures. 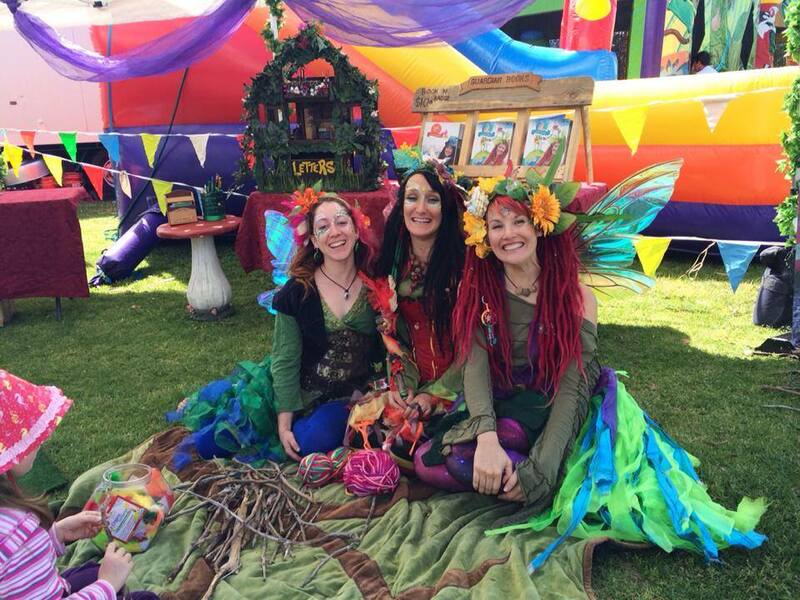 We provide a writing table for children to write or draw their wishes and tales to the faeries. The marquee also has a table dedicated to independent playing. 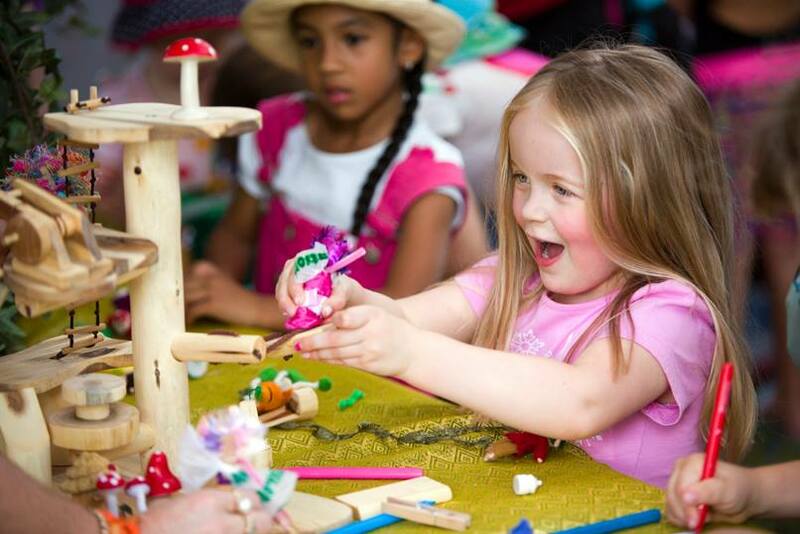 With a selection of toys and shapes made from natural materials such as wood and wool children have a chance to let their imagination go wild and develop their motor skills. Our hoops are handmade using recycled piping. With over 50 hoops to choose from we guarantee there is the perfect hoop for everyone. This easy flowing activity zone is a buzz of energy giving a chance for patrons to try new tricks and be part of some fun games and obstacle courses. This activity zone is hoops of fun! !